A SEARCH IS underway after a Bank of Ireland branch in Co Roscommon was robbed today by four armed men. 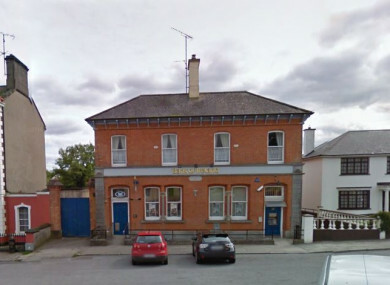 The incident happened at the bank on Church Street, Strokestown at around 2.15pm. The four men, wearing balaclavas and gloves, entered the building with what’s believed to be a handgun and iron bars. A fifth man was waiting in a car outside the bank. They stole an amount of cash and fled in a black Audi car in the direction of Elphin Road. Email “Search underway after armed robbery at bank in Roscommon”. Feedback on “Search underway after armed robbery at bank in Roscommon”.